Anthony Danbury receives a shock upon waking up one morning; his father has been murdered. A letter is found hidden in one of Anthony’s boots from his father with an almost unbelievable tale. Anthony vows justice for his father’s murder and will stop at nothing to accomplish it. The new Lord Danbury, Anthony upon the death of his father, decides on an elaborate plan to lure out his father’s killer. Along the way, he joins forces with Marcus Harting, a British spy, and Miss Lydia Garrett, an unacknowledged granddaughter of an earl. Lydia Garrett is working in a rundown coffee house owned by her father’s cousin, who has been acting as her guardian. She discovers her cousin’s dead body. Her cousin served on the same ship as Anthony’s father about forty years ago. Is there a connection between the murders? What are the chances that both men would be murdered on the same day in the same manner? Lydia is no wallflower. She is determined to see justice accomplished for her cousin. She is smart, persistent and has a will of steel. She meets Lord Danbury and Mr. Harting and sees they just might be the only way for her to bring her cousin’s killer to trial. 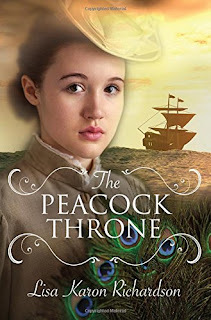 I liked the setting of this story and the intrigue between the French and British at this time period. I also liked the writing style of this author. The story was interesting and ensnared me easily. There is a hint of romance, intrigue, murder, deception and more. The characters hopefully will be developed even more fully in future stories perhaps. The ending of the story certainly leaves an opening for a sequel or perhaps a series and I hope the author follows this story with others in this genre. I’ll be on the lookout for more stories from this author’s pen.